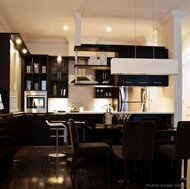 Black Kitchens: Nothing spells "classy" like the color black! 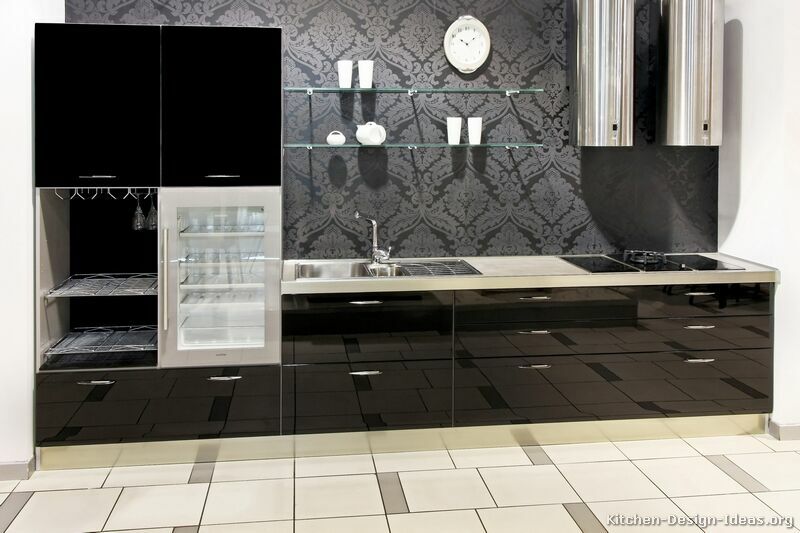 Modern black cabinets show a high level of sophistication, and are often found in high-end kitchens and multi-million-dollar homes. 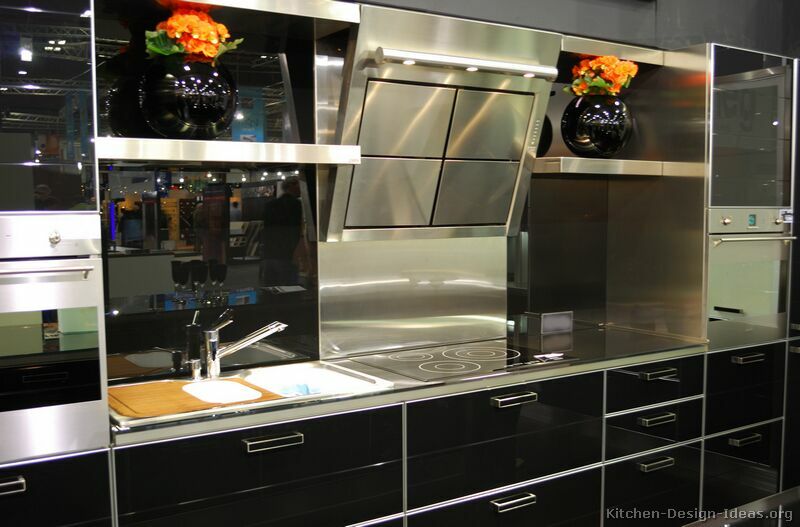 If you host black-tie gatherings, then your dapper black kitchen will be dressed to impress. 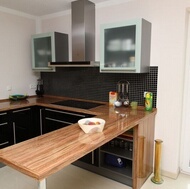 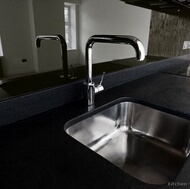 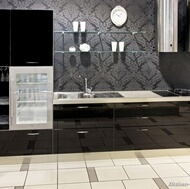 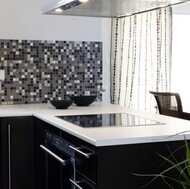 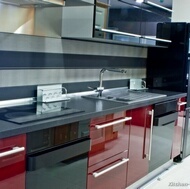 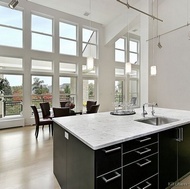 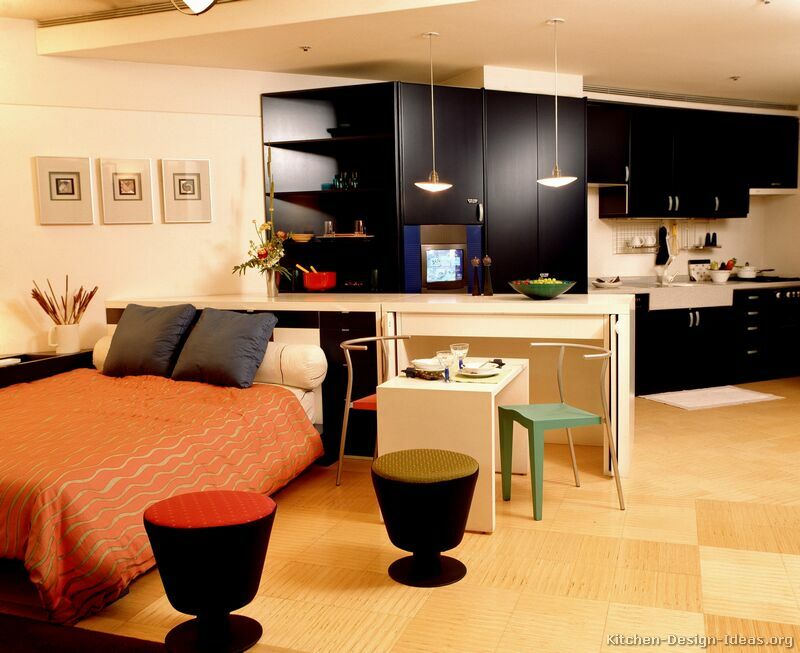 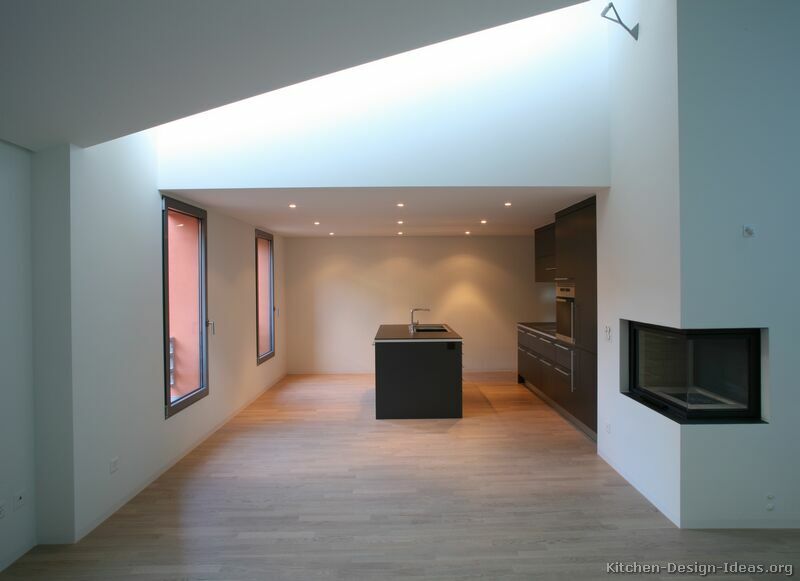 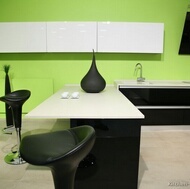 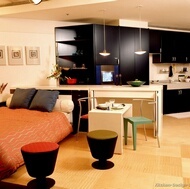 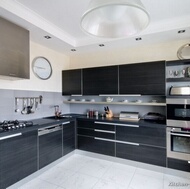 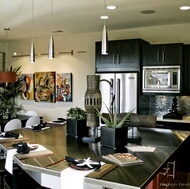 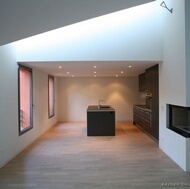 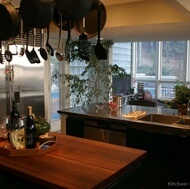 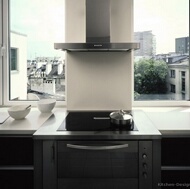 Black Kitchens - Trends: Black is essentially a timeless color. 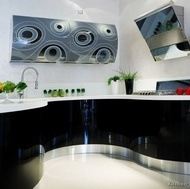 Like a black dress or tuxedo, a classy black kitchen should never look dated, as long as the style is not too outlandish. 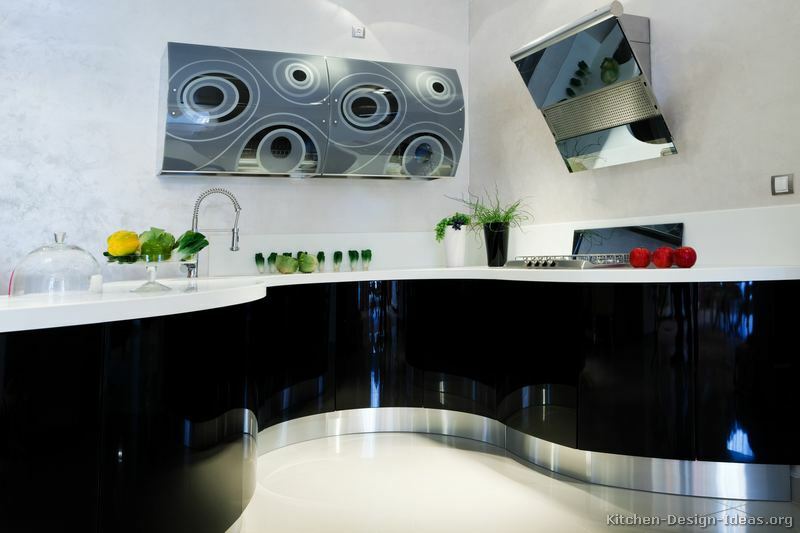 Contemporary and modern kitchens often emphasize monochromatic color schemes (black, white, and gray), as you'll see here. 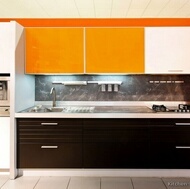 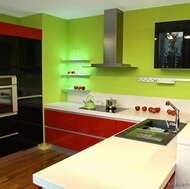 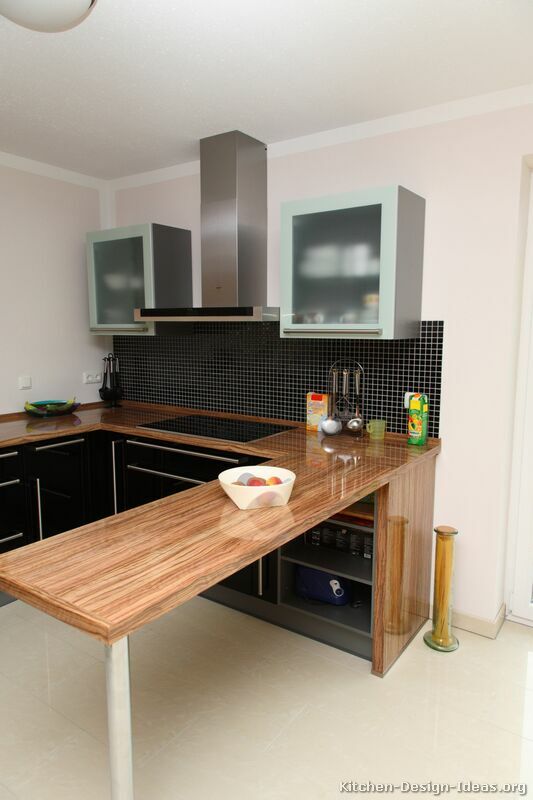 You'll find hundreds of pictures of kitchens on this site featuring black cabinets, either as the central color or as a contrasting accent in two-tone kitchens. 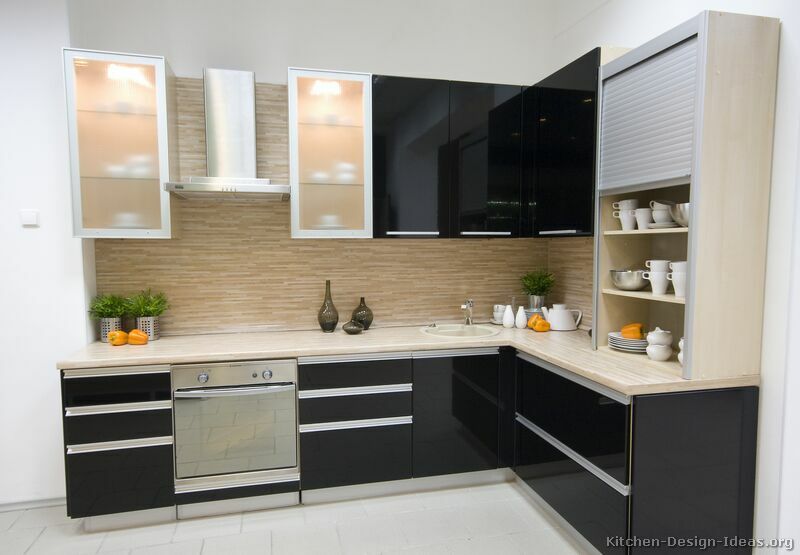 Black Kitchens - Everyday Use: Like a beautiful ebony grand piano, black kitchen cabinets will require an extra measure of care and attention. 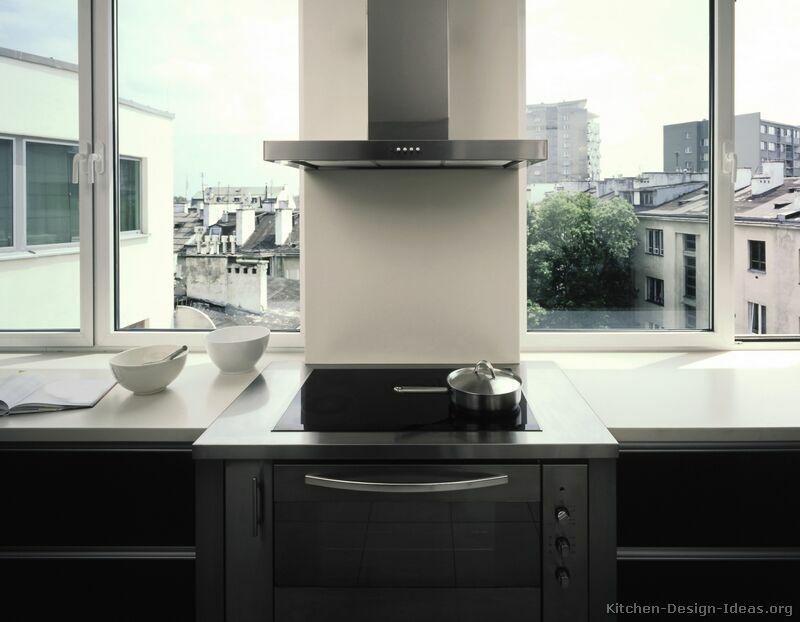 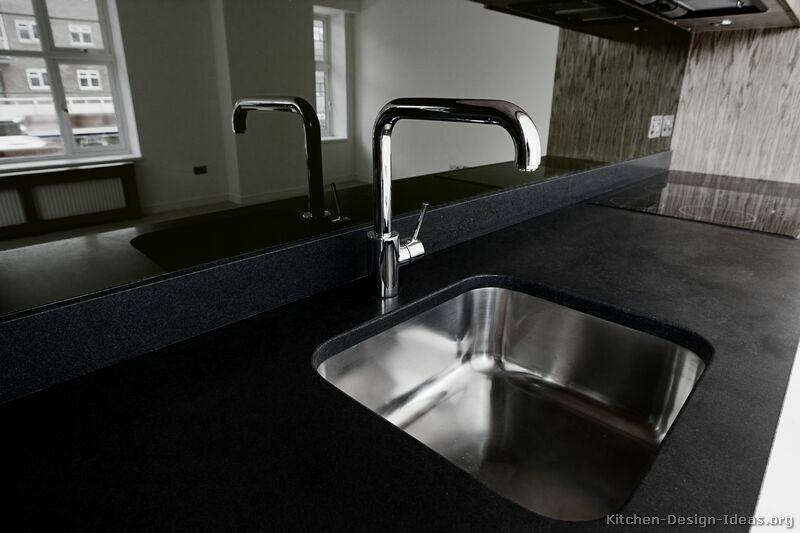 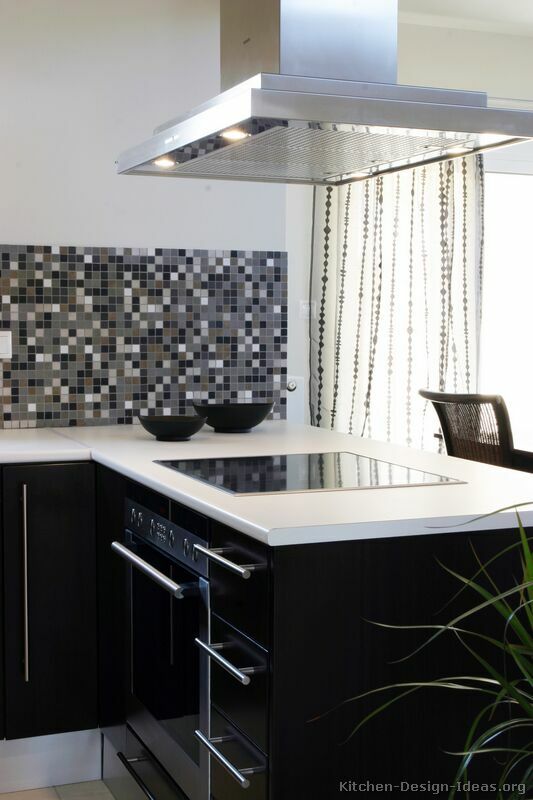 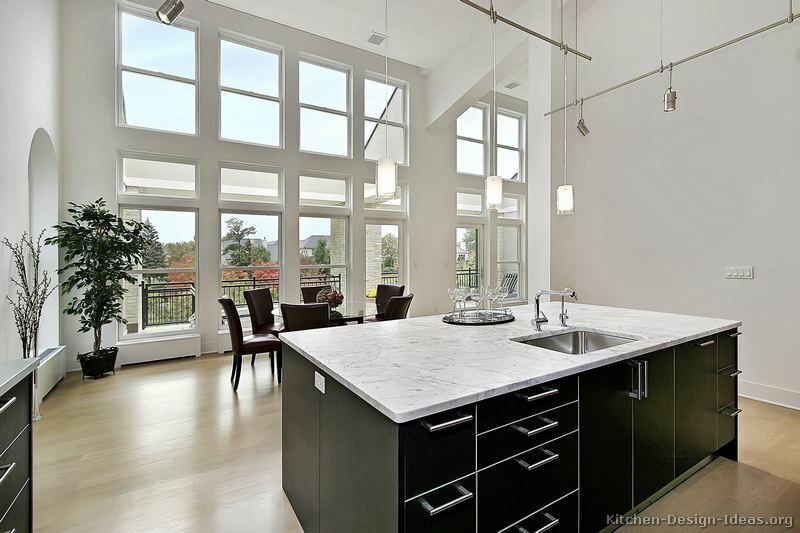 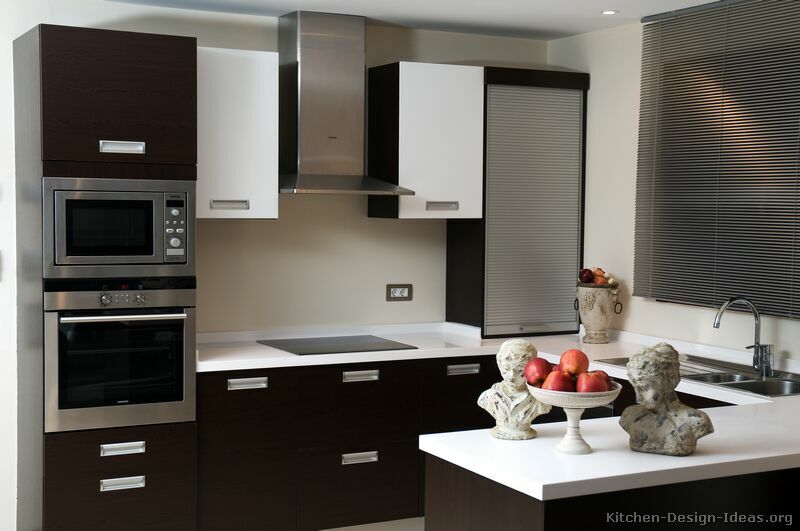 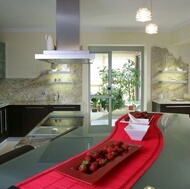 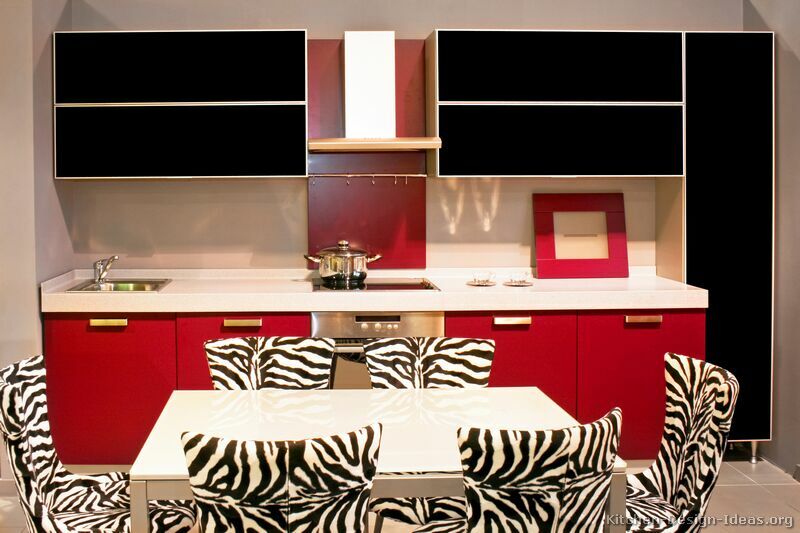 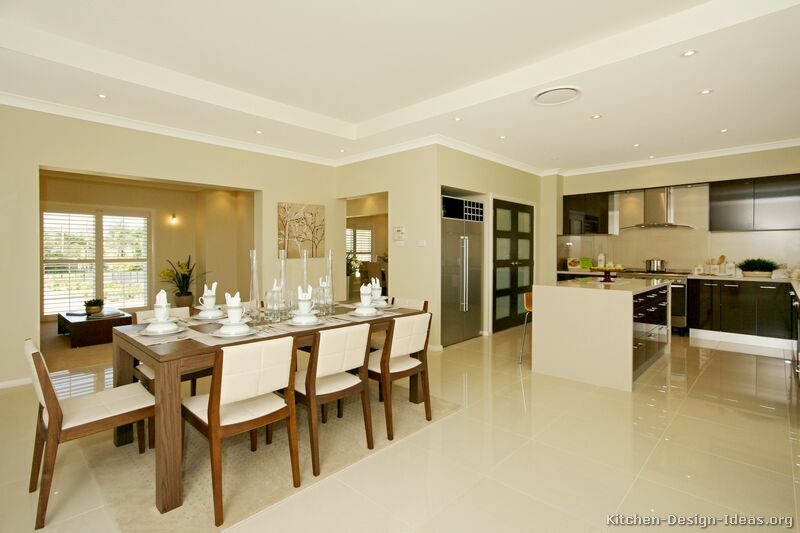 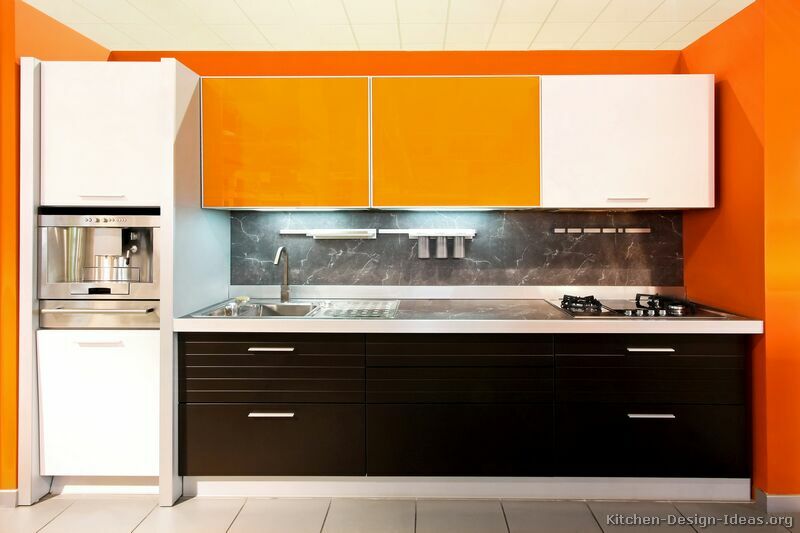 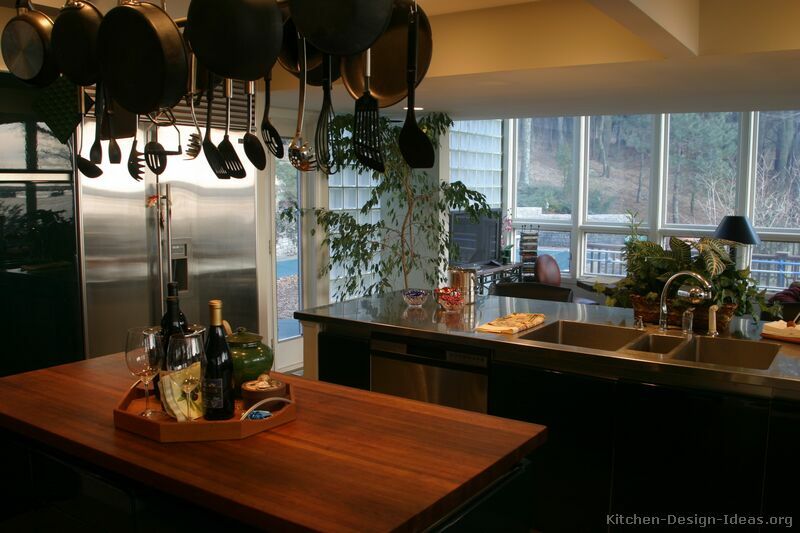 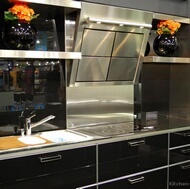 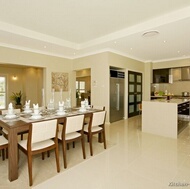 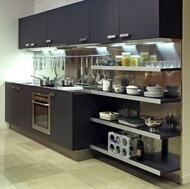 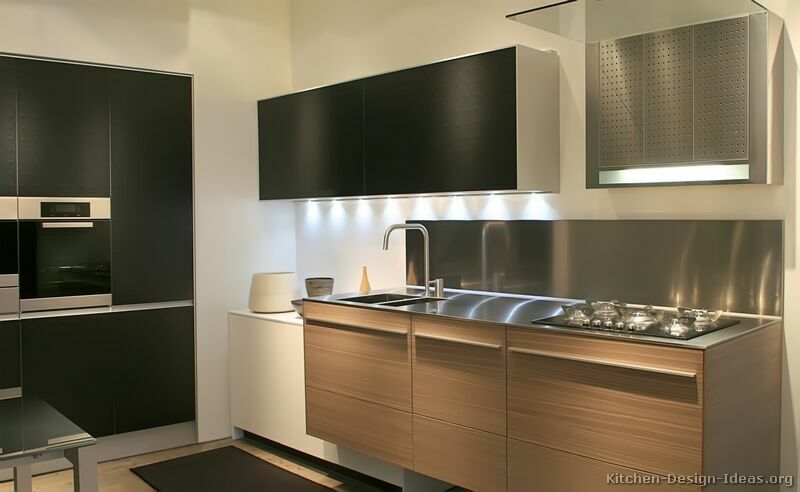 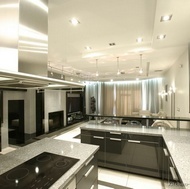 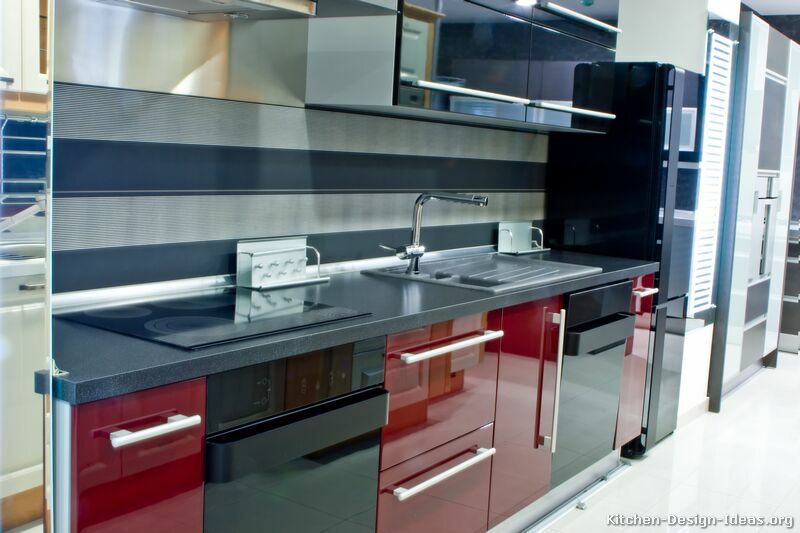 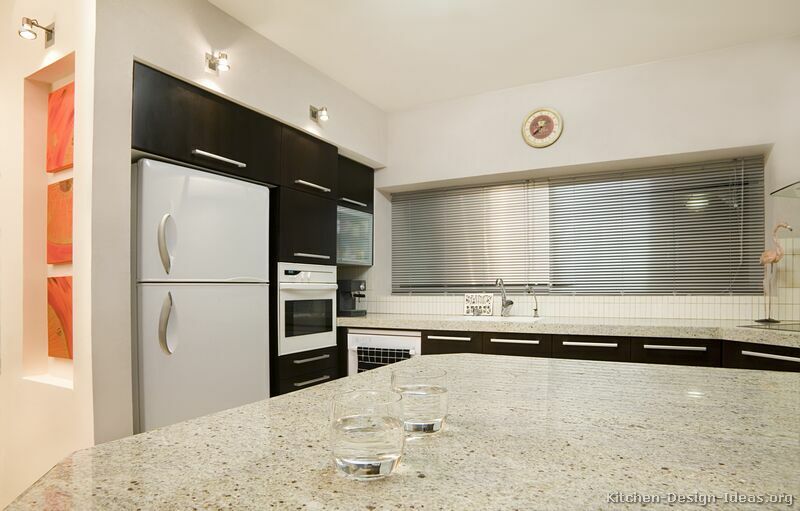 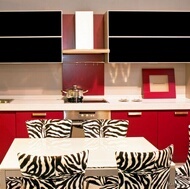 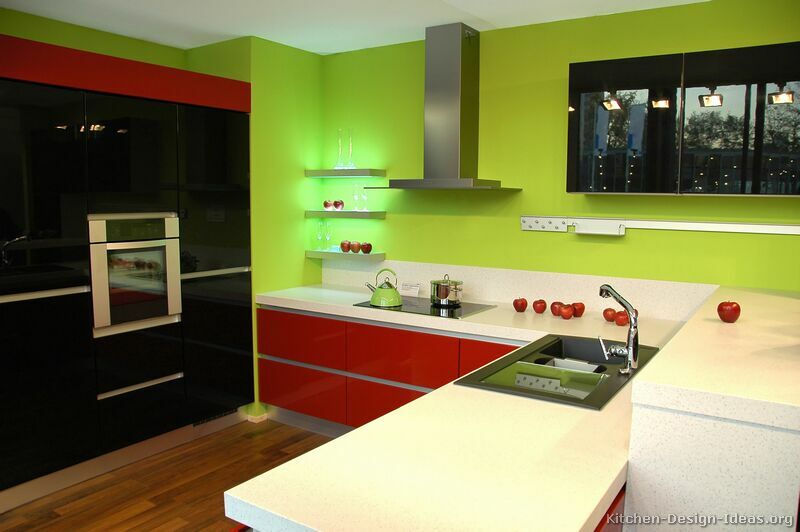 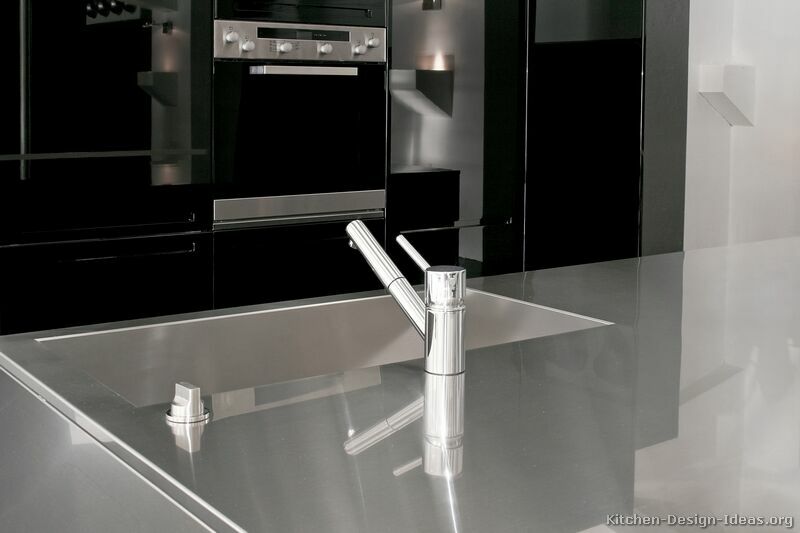 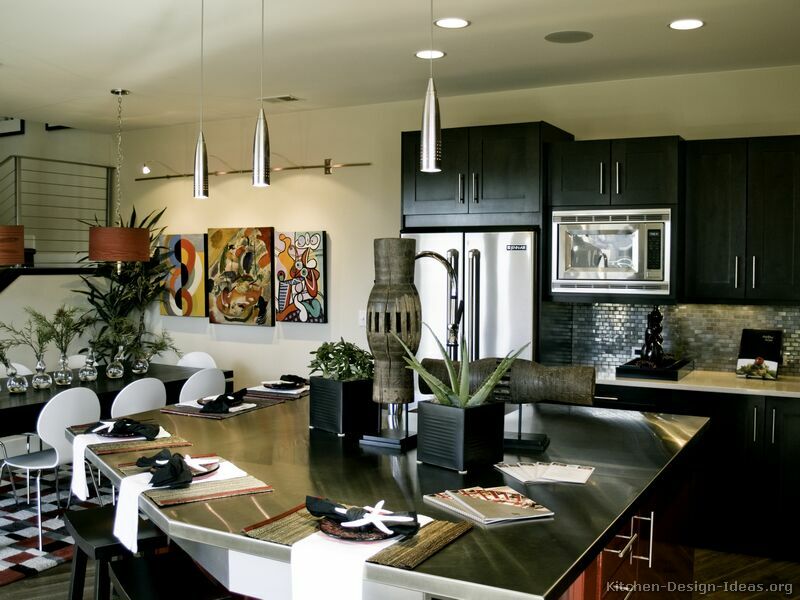 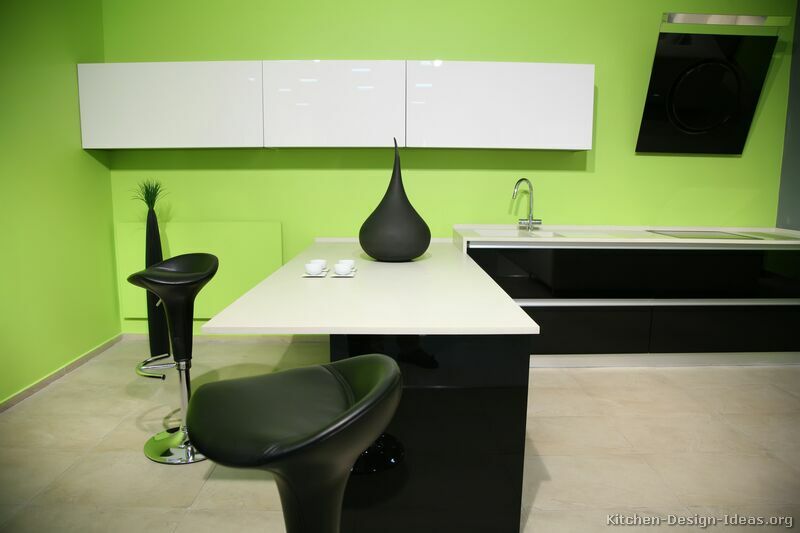 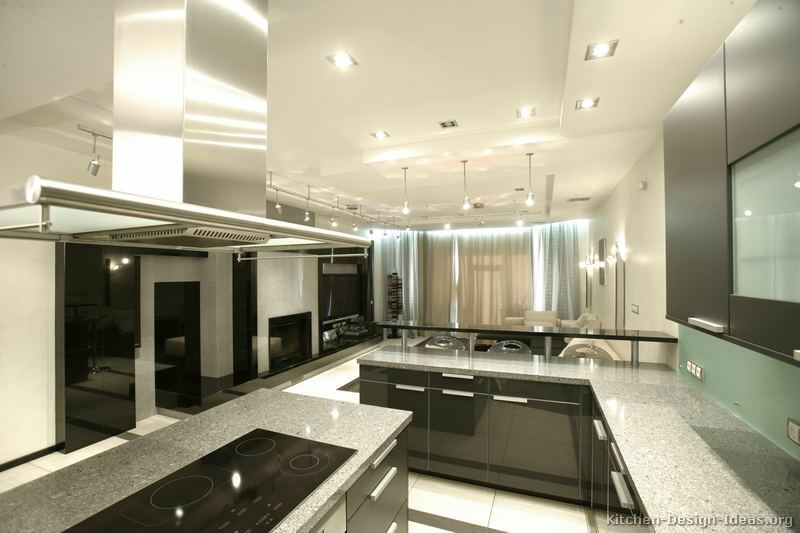 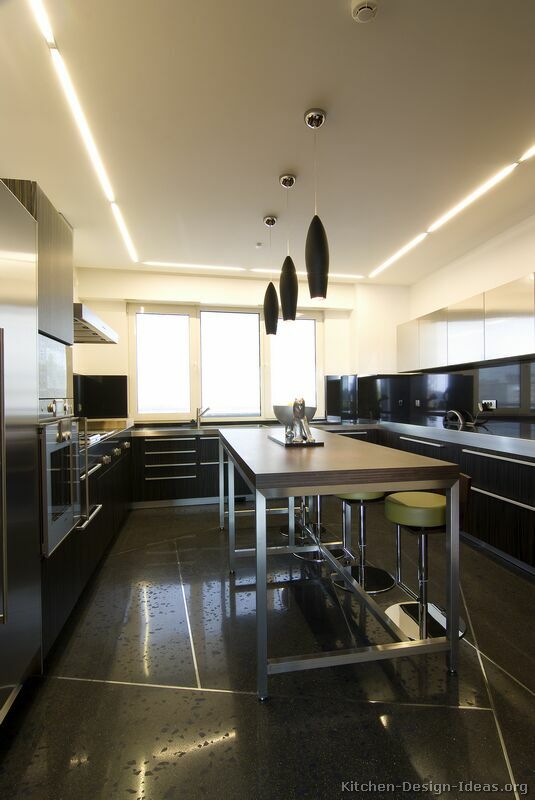 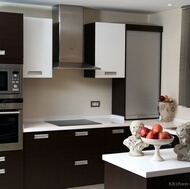 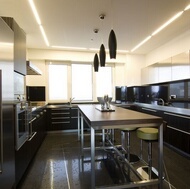 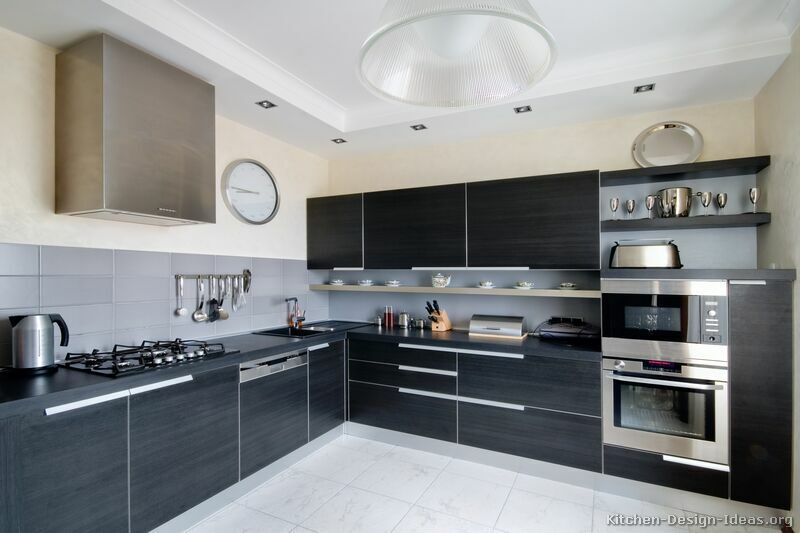 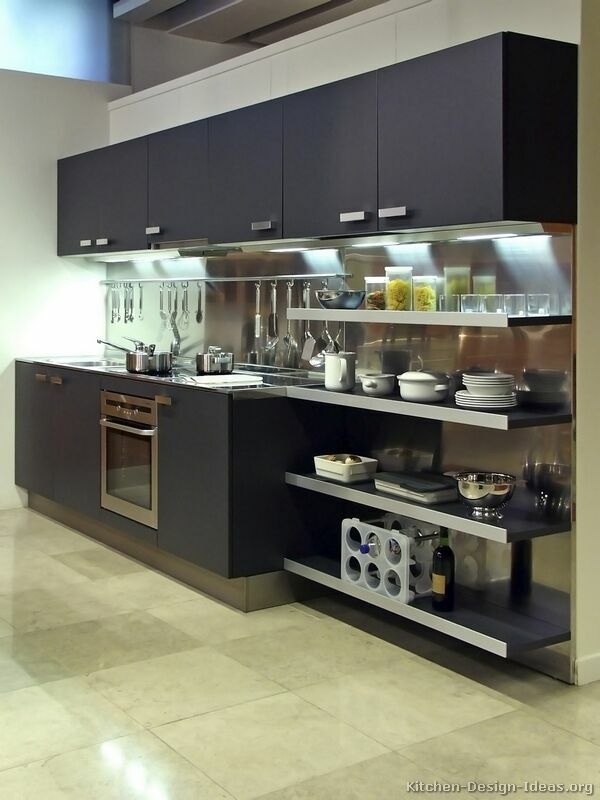 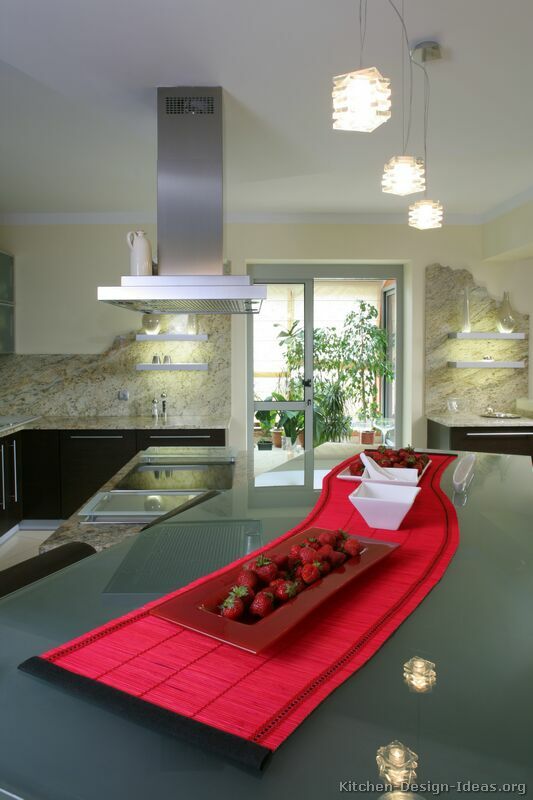 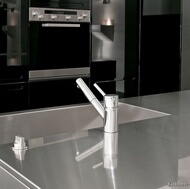 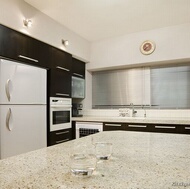 Your modern black kitchen should be treated like an evening gown or a Rolls-Royce; impeccable cleanliness is key. 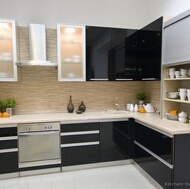 Since dust tends to stand out visually on a dark surface, black kitchen cabinets may require more frequent gentle cleaning and dusting. 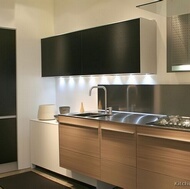 Knowing this in advance can pay off with a lifetime of enjoyment in your modern black kitchen.